White-tailed Deer – In Arbor Hills Nature Preserve? 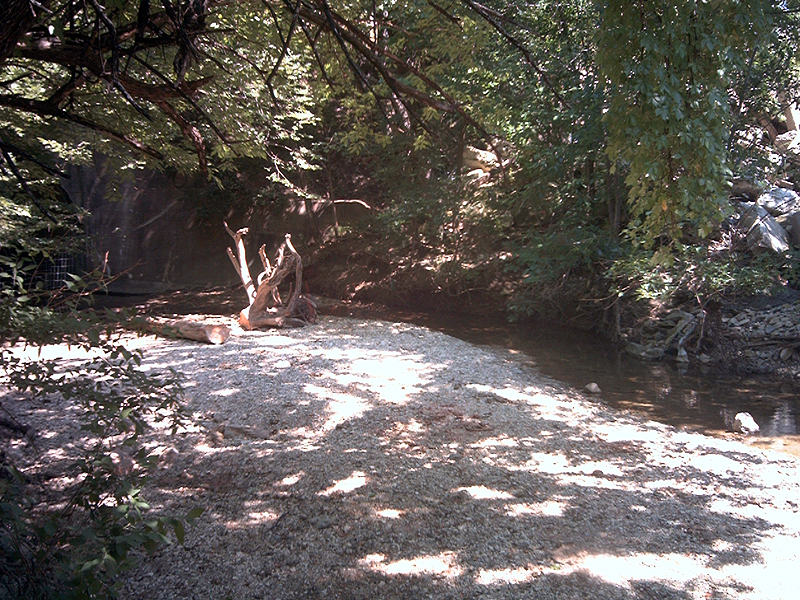 Anyone familiar with the Trestle Loop Trail in Plano’s Arbor Hills Nature Preserve will recognize this location. 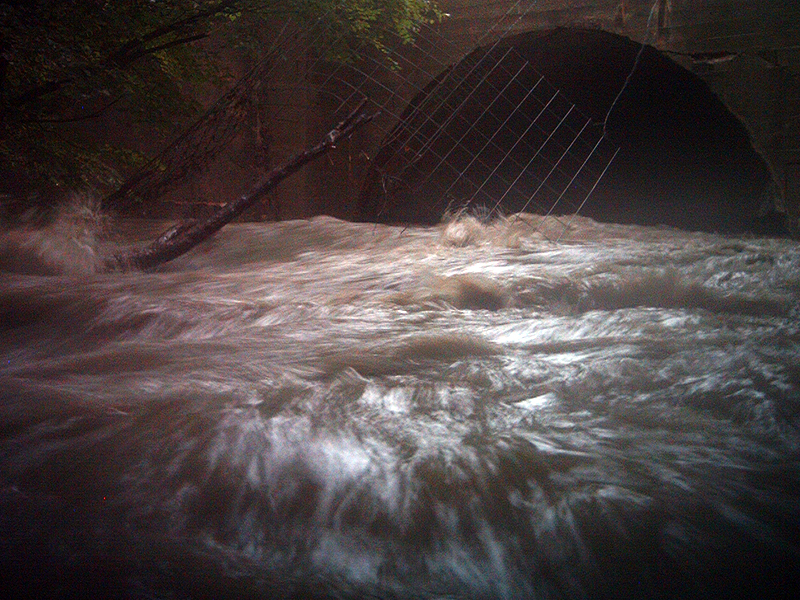 A branch of Indian Creek flows through this the tunnel under Burlington Northern Railroad. The railroad effectively marks the western boundary of the nature preserve. I have been aware of a White-tailed Deer population living on the undeveloped land on the opposite side of the railroad tracks for sometime now. I couldn’t help but wonder if some of these deer ever made it across the tracks (or under the tracks) and into the Arbor Creek Nature Preserve. I have not seen White-tailed Deer included on lists of the nature preserve’s resident wildlife. And, I have visited the park on several occasions hoping to find deer sign without success. A couple of weeks ago I decided to take a different tack, and I set some Scouting Cameras to monitor the Trestle Loop Tunnel. 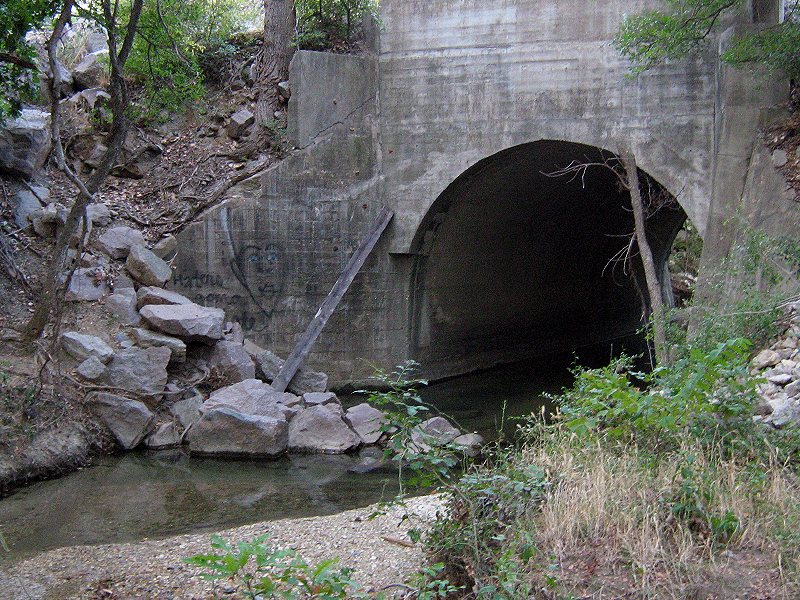 This is a view of the same tunnel, but from the opposite end. 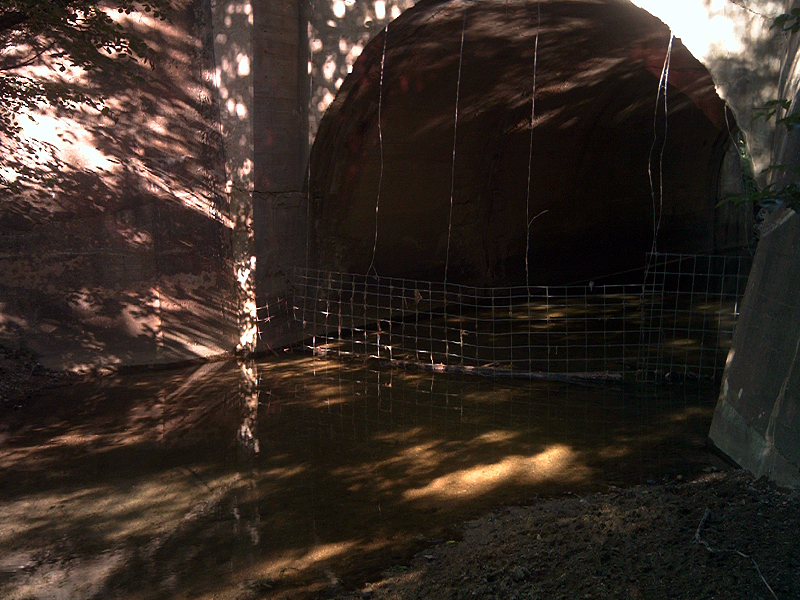 Under normal circumstances the creek is very shallow here as it flows slowly over the flat, concrete base of the tunnel. 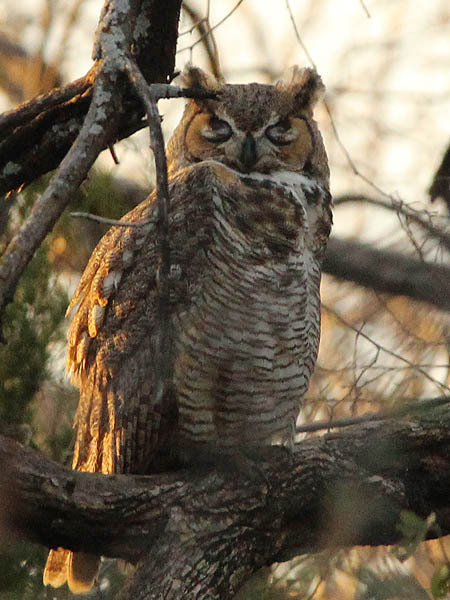 It creates an excellent passage leading from the undeveloped land on the west side of the railroad tracks to Arbor Hills Nature Preserve on the east side. 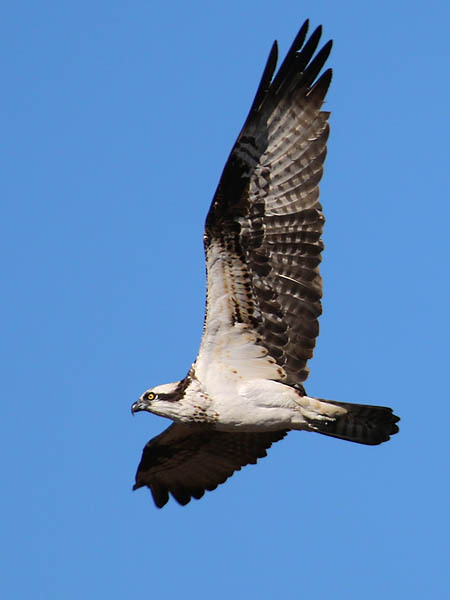 Wildlife of all shapes and size could move back and forth between these two parcels of land with ease. Because Arbor Hills Nature Preserve is heavily trafficked by people, I set my cameras on the opposite side of the tunnel in a place where I felt they were less likely to be tampered with. This is the same view of the tunnel, but from a little farther away. You can see the tunnel entrance in middle left-hand side of the picture. 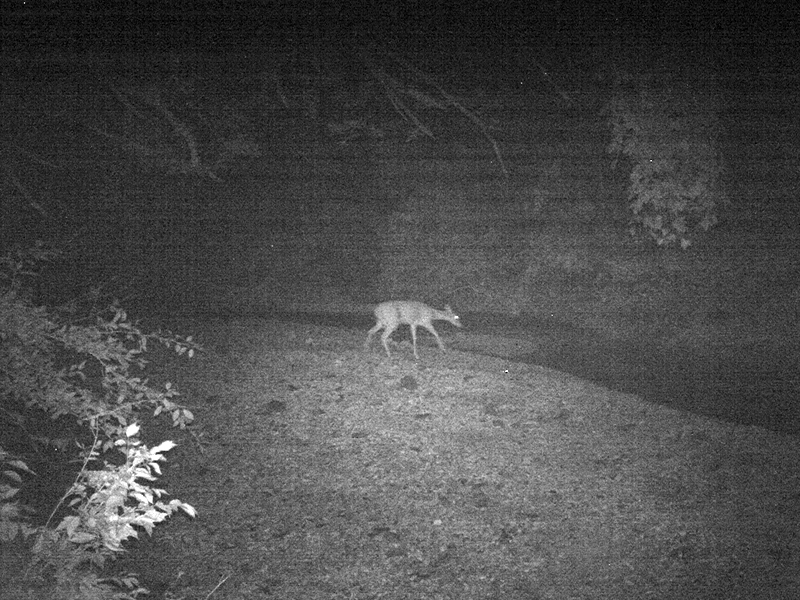 A couple weeks later, I checked my setup, and it turned out that I had indeed recorded some images of White-tail Deer near the tunnel. I did not record photographs of actual passage through the tunnel, but it is hard for me to believe that the deer would make it this far and then not complete the journey. Now, I will appeal to my readers for further verification. 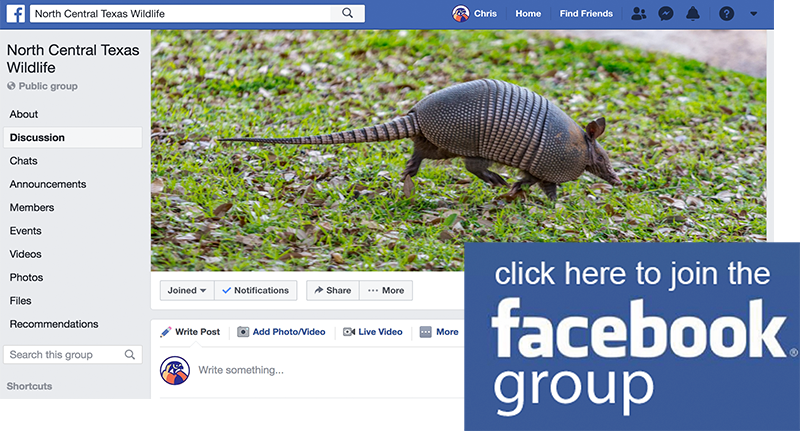 If you have ever visited Arbor Hills Nature Preserve and have either seen a White-tailed Deer or found White-tailed Deer sign on the property, please let me know using one of the contact facilities provided by this web site: comments, email, Facebook, and Twitter. It is likely that deer only rarely venture into Arbor Hills Nature Preserve. Once they encounter the high volume of human traffic that the park accommodates, the deer surely retreat back to the more isolated private property on the other side of the railroad tracks. There is one final thing I wanted to include in this article. 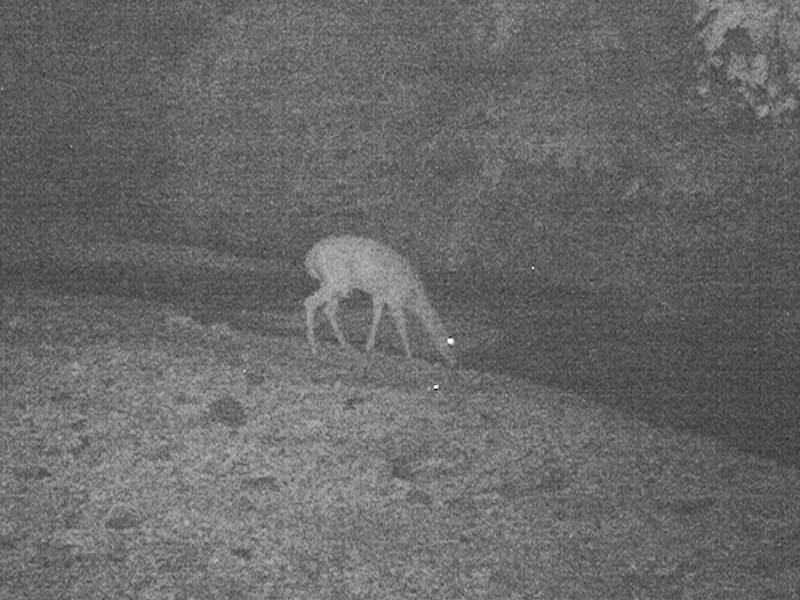 Wildlife is not the only thing that is recorded by my Scouting Cameras. Acts of nature also can trigger the cameras’ motion sensors. These next two pictures show before and after (during) shots of a flash flood flowing through the tunnel after a heavy rain. The volume of water is really staggering. I have photos of deer tracks that we saw in Arbor Hills Park on a hiking trail east of the trestle, dated November 8, 2010. Well, that is cool. I figured they were entering the park on occasion. That place will be their last refuge once the surrounding land is finally developed. They’re gonna have to get used to all of the people there! I can confirm that there are white tail dear inside Arbor Hills. I was mountain biking on the non-paved trails this Monday-evening (November, 12). On the West side of the trails near the creek around 7:30 pm. I came around a corner and out jumped a nice sized buck. I had a great view of the deer as I wear a 900 lumen helmet light and he ran past me in an open clearing… He trotted east up the hill, I caught a glimpse of him once more before I finished the ride. I thought it was unlikely there would be deer in Arbor Hills thus the reason I googled it and found this website. Thanks for the above photos, after 34 years in Plano and never seeing deer with city limits it was nice to get some confirmation that others have seen them. Pretty cool, huh? They travel all up and down Indian Creek, by all indications. Thanks for the report! My husband and I were walking in Arbor Hills yesterday and saw a deer. It was so cool. We were delighted.. It was a doe.